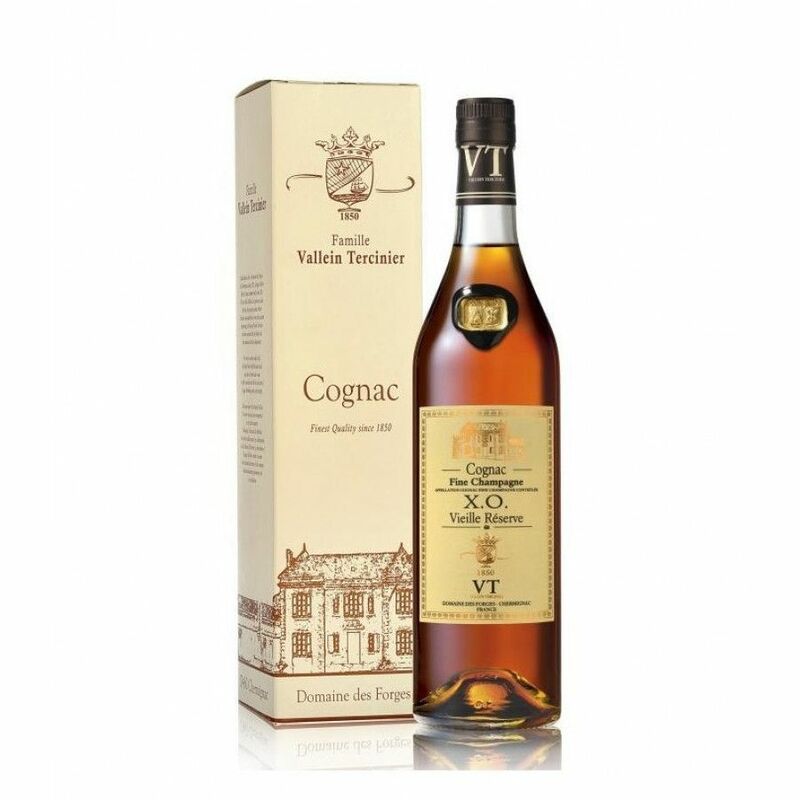 The Vallein Tercinier XO Vieille Reserve Cognac is a delicious old blend of eaux-de-vie from the two premier growth areas of the region. It's designated as a Fine Champagne, meaning that a minimum of 50% comes from Grande Champagne, the rest from Petite Champagne. The youngest component in the blend has been aged for at least 35 years, and this has led to an extremely elegant, round, and deliciously mature taste experience. A deserving award winner, this is a great example of why small producers can provide you so much more for your money. One of the most outstanding aspects of this wonderfully old Cognac is its exceptional finish. Multi-faceted, and almost never-ending, it has to be tasted to be truly appreciated.